It makes one consider the warnings of Revelation that the end times before Christ’s returns will look a lot like this w/ the persecution of Christians. We were promised such hard times as followers of the son of God. Why is it wrong to make it our priority to help these people? because Christians aren’t loved in the west either. The prosecution is to THIS point YET, but I would NOT be surprised at ANYTHING I saw on the news ANYMORE. I’ve put on my belt and keeping my arms in the ride at all times at this point. Amen. 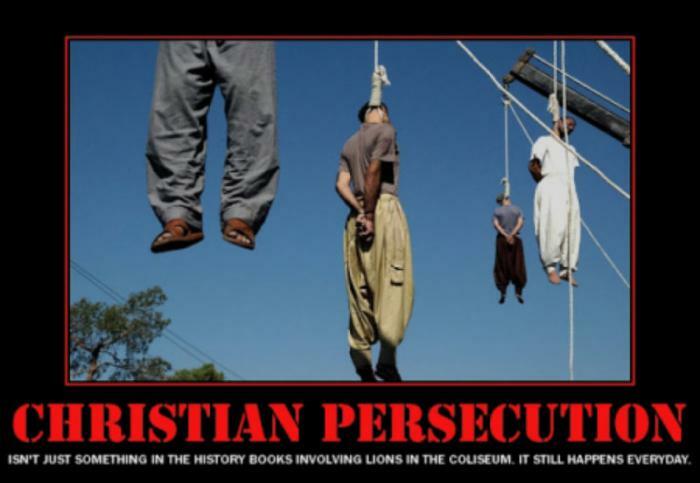 What truly gets to me are the so-called Christians that continually support these barbaric fanatics. I just saw a tape of Obama, at a prayer breakfast, where he states that Christians committed atrocities in the name of Christ. He should do his due diligence before speaking out against Christians. What a difference between him, and President Trump, who urged prayer, and the reading of the scriptures during these tough times. That is quite a contrast. Thanks for writing!